Green-building cheerleaders will tell you otherwise, but designing a net-zero energy house is extremely difficult; making it beautiful is even harder. 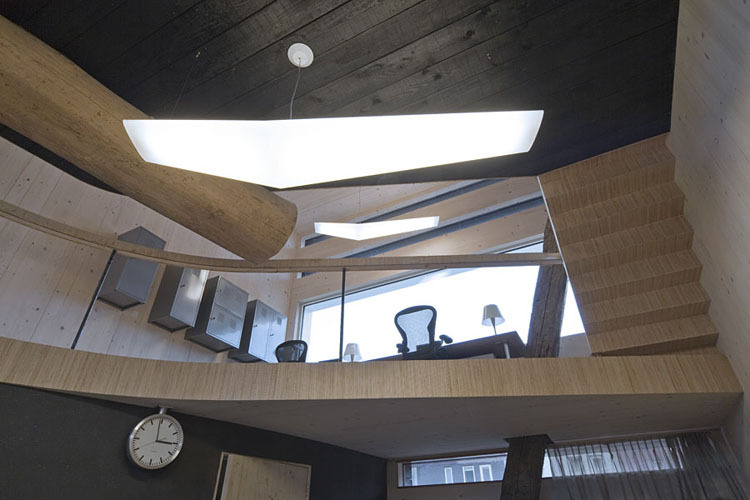 Which is why we’re bowled over by FARO Architecten‘s Residence 2.0. 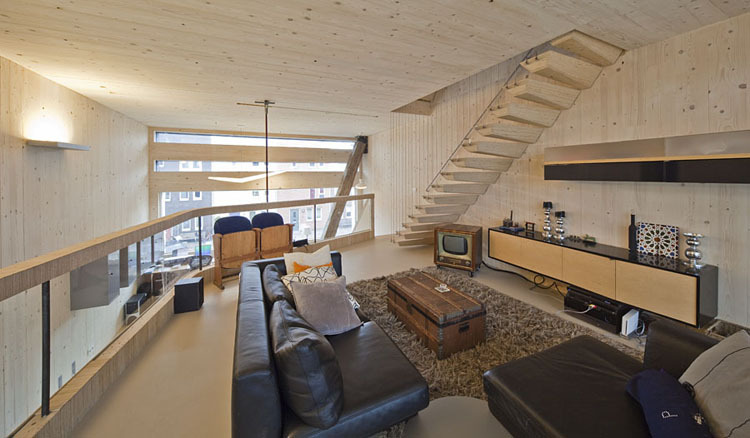 The single-family rowhouse in Ijburg, near Amsterdam, looks like an inside-out tree house and acts like it could save a rainforest. But inside, you’ve got branches everywhere! 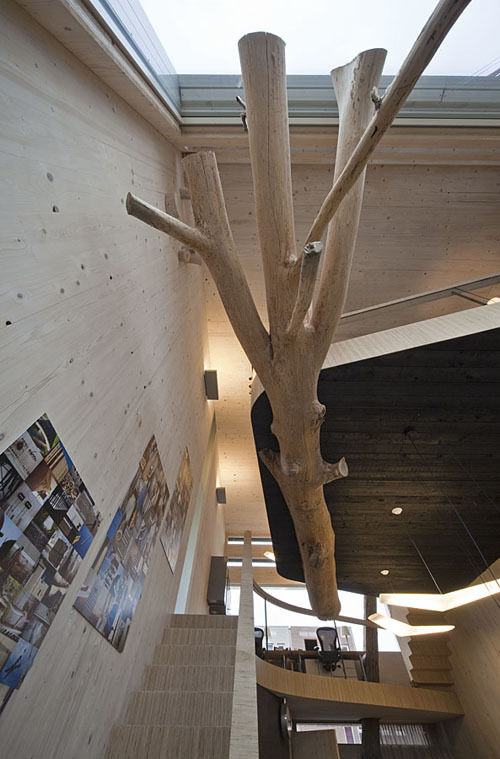 A tree trunk runs clear through the kitchen and practically holds up the mezzanine. It’s as if the neighbor’s tree came crashing into their house one day, and they just decided to leave it. Not that it’s kitschy. 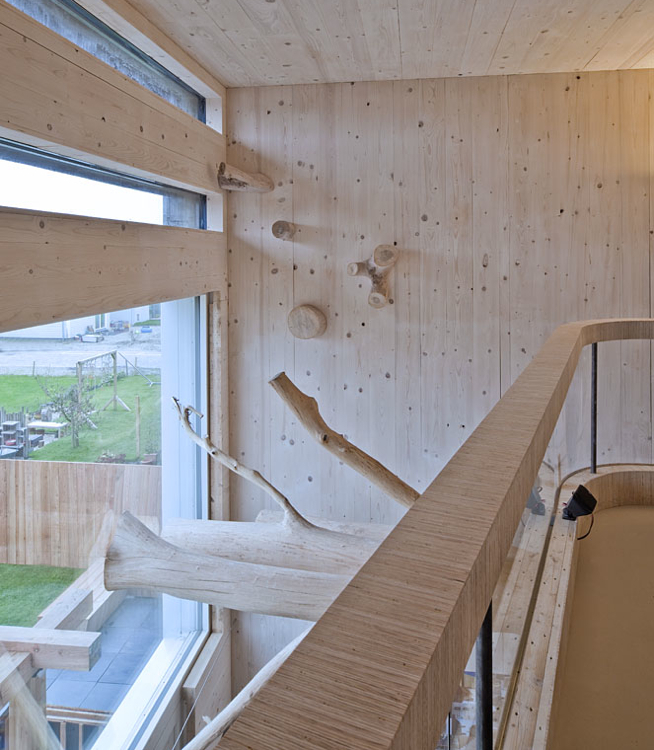 With raw blond wood on the floors, walls, and ceilings, it’s more Scandinavian than Swiss Family Robinson. And it looks completely effortless. 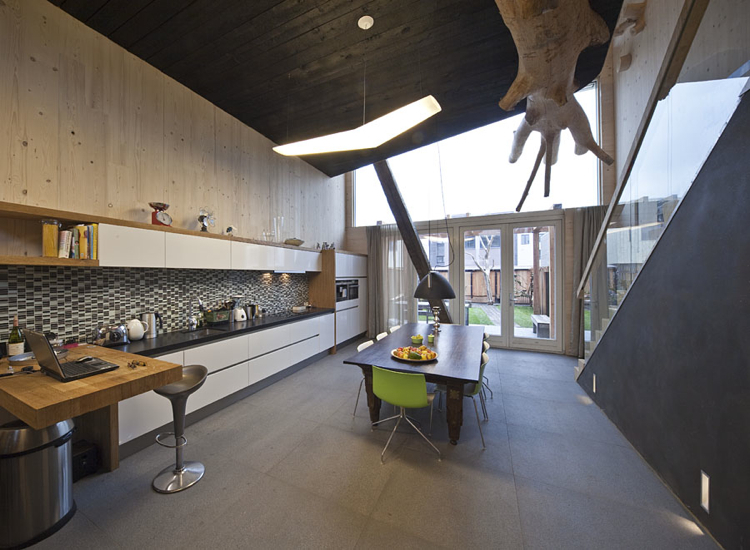 On the eco-side: The place is carbon-neutral, so it’s built to passive-house standards (a popular way of designing ultra-low energy buildings in northern Europe), and, with the help of a rooftop wind turbine, the house generates all the electricity it needs. Read more here.